Founded in 1973 by a Team of engineers, HMS goes to extreme measures for its customers, whether it’s supplying hard-to-find Spicer Clark parts overnight, testing and re-testing units before shipment or rebuilding used cores, once considered unfixable. You can feel 100% confident that HMS will build a custom starting package, supply, fix and build your equipment quickly and accurately, plus ship it promptly to your desired location. HMS promises to fix your powertrain systems correctly the first time, every time, all the time. 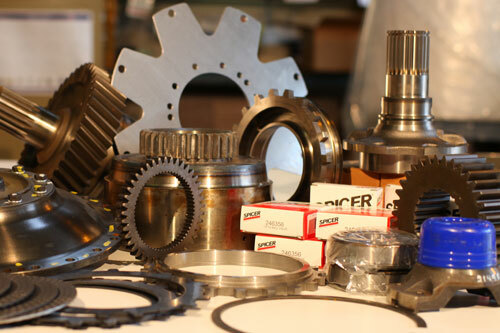 HMS also has one of the world’s largest and most diverse inventories and supplies only genuine Dana Spicer units, parts and drivetrain systems for all major industrial manufacturers’ off-highway equipment. If you need a part, we'll have it. And, we'll ship it anywhere in the world.